We need to raise £140,000! 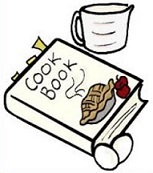 PARISH COOKBOOK - We’re creating a Parish Cookbook and invite you to send in your 'OWN' recipes for inclusion. Please forward recipes to michelle.hemstedt@btinternet.com or leave at the Parish Office. Copies will be on sale to help with our fundraising. HOST A DRINKS EVENING / LUNCH or DINNER PARTY - An easy way to contribute to our fundraising in the run-up to Christmas. See poster at the back of the Church for further details. All profits, after your expenses, can go to the Window Appeal. Just to name a few...!